The Kachin Independence Army (KIA) has issued a notice classifying northern Namti in Mogaung township a restricted area due to military situation. Thousands of Rohingya Muslims have crossed into Bangladesh since Myanmar announced a military buildup in violence-hit Rakhine state earlier this month, according to community leaders. 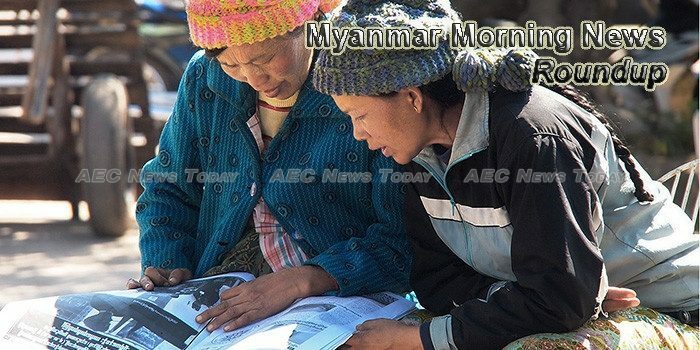 Myanmar people rated economic development as more important than democratic reform, according to a survey of Myanmar public opinion by the International Republican Institute (IRI) released on Tuesday. Sections within the draft law are inconsistent over the minimum working age, and child employment in many sectors remains unregulated. Gasps echo across the hall as the Myanmar school kids trial virtual reality goggles, marveling at a device that allows some of Asia’s poorest people to walk on the moon or dive beneath the waves. Myanmar, one of the fastest growing economies in the world, is nevertheless notorious for its insufficient supply of power. Despite several State and regional Master Plans and programs, just one third – or 3.7 million out of the 10 million households in the country – enjoys access to electricity. Myanmar Chemical & Machinery Co (MCM) will fork out over US$96 million (K130 billion) under the Myanmar Citizen Investment Law to build an offshore supply base on Made Island in Kyaukphyu, Rakhine State, project director U Tin Soe told The Myanmar Times. Bayintnaung commodity depot has ceased operations due to India’s import quota on pulses, prompting pulses prices to plummet and Myanmar’s Ministry of Commerce to call for a trade meeting between the two nations. Construction of an apartment complex supported by private and government funds in Ayeyarwun and Yadana housing estates in Dagon Seikkan Township, Yangon Region has been suspended due to a funding shortfall, according to a report in Myawady Daily, yesterday. Mobile operator Ooredoo Myanmar has parted ways with chief executive officer Rene Meza, shortly after the company announced disappointing results for the first half of the year. Rising river level and heavy rain has caused flood again in many parts of Hkamti township, Sagaing Region, said U Khin Maung Sint, Hkamti township administrator. “Winston” Set Aung, Myanmar’s new deputy minister for planning and finance, urged his fellow leaders to push ahead with reform during a panel session at the Myanmar Democratic Transition Forum in Naypyitaw on Aug. 12.